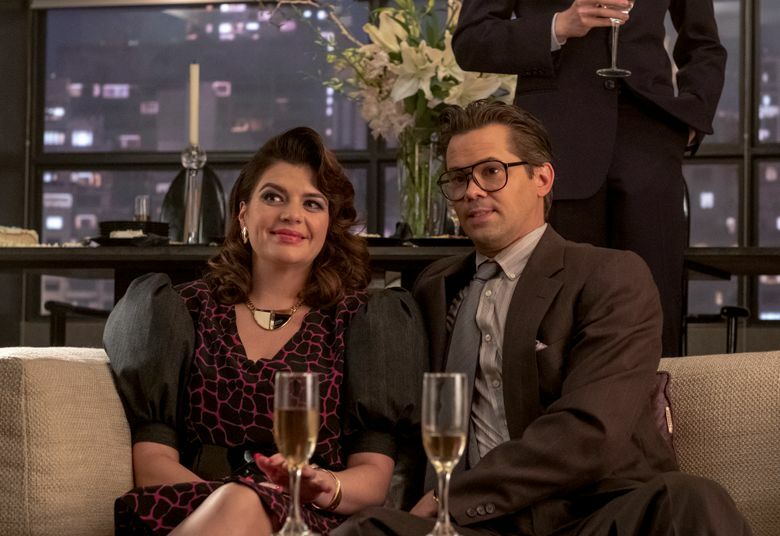 Before next week’s season finale, Blair and Tiff get married in an ostentatious, very 1980s style wedding with a grandly choreographed wedding dance in the comedy series about the world of Wall Street leading up to the financial meltdown of Oct. 19, 1987; 10 p.m. Sunday on Showtime. “The Monkees,” 5 p.m. (METV): The network’s recent tribute after the death of Monkees member Peter Tork was such a hit they’ve added a two-episode block of the series to their Sunday lineup. “Prince Charles at 70,” 8 p.m. (KCTS): A look at the life of Prince Charles as he celebrates his 70th birthday, with interviews including his sons Prince William and Prince Harry and his wife Camilla, Duchess of Cornwall. “American Idol,” 8 p.m. (KOMO): Hollywood Week commences, hosted by Ryan Seacrest. “God Friended Me,” 8 p.m. (KIRO): One of Sunday’s most popular programs; when a package mistakenly shows up on Miles’ doorstep, his search for its importance leads him to a couple grieving the loss of their daughter. “Epic Yellowstone,” 9 p.m. (SMITHSONIAN): Soar above Old Faithful geyser, the cascading Lower Falls, and explore life in Yellowstone National Park through the eyes of its winged creatures, captured by state-of-the-art cameras including a tiny one that fits inside a nest. “NCIS: Los Angeles,” 9 p.m. (KIRO): Sydney turns to her sister Nell for help after her high-school crush gets mixed up in a Russian plot to steal intelligence from the Department of Defense; Special Prosecutor John Rogers conducts mandatory performance reviews with the team. “Into The Badlands,” 10 p.m. (AMC): Midseason premiere of the postapocalyptic martial-arts drama; Sunny and Bajie face off with Pilgrim, who lays out his deadly plan for the Badlands; The Widow finds common ground with the Master. “Mission Declassified,” 10 p.m. (TRAVEL): Series premiere; Christof Putzel hunts down inside information regarding three prisoners who escaped from Alcatraz in 1962 and may or may not have drowned in the attempt. Madeline McKenzie: mmckenzie@seattletimes.com. Program times may vary depending on your cable provider or service.